We ( RFPMART LLC .) provide Government RFPs, Tenders, Solicitations, Bids, Contracts, RFQs, RFIs, RFTs and Procurement documents along with contact details. We are basically paid-search engine services for government procurements, RFPs, Bids, Solicitations and Tenders. We connect contractors, service providers, suppliers and Government Agency buyers. We are a pioneer in online government purchasing and e-government, and a leader in providing Government RFPs, Government Bids, Government RFQs, Government Solicitations and Government Contracts finder and notification services. We provide all kinds of information published by Federal, State, County, City, Municipal, Local Government, Town Agencies, and Government Agency Buyers such as Colleges, Universities, School Districts, Hospitals, Correctional facilities, Water districts, Public utilities, Police and Fire departments. The government solicitation notices include pre-solicitation notices and active solicitations. Win Government RFP, Government Bids, and Government Contracts with us! We help Government Contractors and Suppliers to spend more time on winning Government RFPs and Government bids, and less time searching for them. Step 1 : Our team keep track of thousands of government websites for any new Government RFPs, Bids, Solicitations and Tenders and post them in an organized manner under their respective category on our website. Step 2 : We make the categorized documents available for you on our website with their initial brief to give you an idea about the document and your eligibility to bid for that. Step 3 : You simply need to select the category of your interest. Step 4 : Go through the State, Scope, RFP Description and Deadline. Step 5 : If you would like to apply for any Government RFP, you can purchase the RFP document from our website. You can also obtain the monthly subscription to access all RFPs. Step 6 : Once you purchase the Government RFP, we will provide you full RFP document issued by Government Authority. Step 7 : After purchasing RFP, you will be required to prepare the response yourself and submit proposals directly to Government Authority. If you will be awarded the proposal, you will be informed and will work with government authority directly. 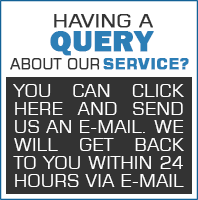 If you have any specific questions, you can email us. (We basically serves you as a professional (Paid) search engine service to find most and latest government RFPs.